Living with diabetes is complicated and challenging. 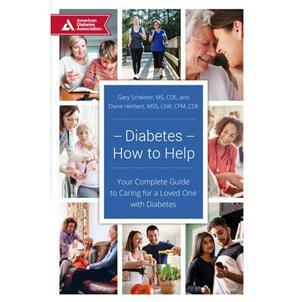 Diabetes: How to Help addresses both knowledge deficits and the emotional needs of the caregiver community. Living with diabetes is complicated and challenging. In addition to a multitude of daily tasks and decisions, managing diabetes requires appropriate support from those surrounding the person with diabetes: partners, family members, friends, co-workers, and caregivers. Most aspects of diabetes care and treatment focus on the patient: There are dozens of books and online resources designed specifically for the person with diabetes, but very few that address the needs and interests of their support network. This leaves the vast majority of caregivers in a quandary regarding their role. Many are under-educated on diabetes and its management, and most are unsure of where their involvement begins and ends. Diabetes: How to Help is intended to fill the void that currently exists by addressing both knowledge deficits and the emotional needs of the caregiver community. 1. What Kind of Support Person Are You?